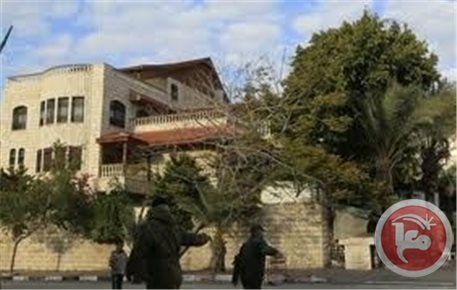 Palestinian security sources in the northern West Bank city of Nablus have reported, Sunday, that unknown assailants burned sections of the home of a former political prisoner, a Palestinian National Security officer. The sources said a number of masked persons broke into, and torched, the home Hazza’ as-Sa’dy, in the Sa’diyya neighborhood, in the northern West Bank city of Jenin; the home was empty when the attack took place. Palestinian firefighters and rescue teams rushed to the scene and contained the fire; the police and security services opened an official investigation into the attack. It is worth mentioning that as-Sa’dy spent 28 years in different Israeli prisons, detention and interrogation centers; his family is from the Jenin refugee camp. 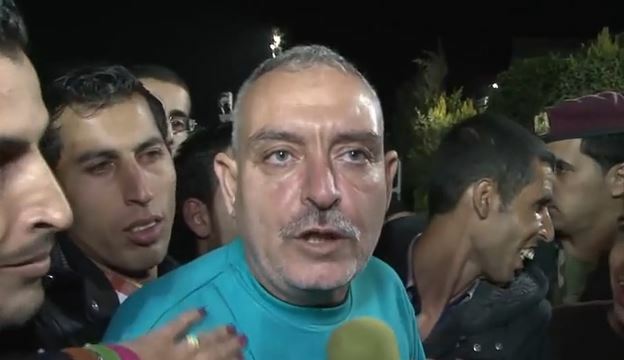 The former detainee was one of the detainees who were released by Israel two years ago as part of the US-mediated efforts “to resume direct political talks” between Tel Aviv and Ramallah. On December 31 2013, Israel released 26 veteran Palestinian detainees, as part of the third phase of freeing all detainees who have been held since before the first Oslo peace agreement of 1993. During the first and second phases, Israel released, in mid-August 2013, 26 veteran detainees (14 from Gaza and 12 from the West bank) and, in late October of the same year, it released 26 veteran detainees (21 from Gaza and 5 from the West Bank). Tel Aviv then refused to release the fourth and final phase that would have ensured the release of all veteran detainees. 1. 480 detainees sentenced to at least one life term. 3. 24 women, including four children. 4. 14 legislators and one government minister. 5. 30 detainees held before the Oslo Accord of 1993. 6. 16 detainees who have been imprisoned for more than 25 years, including Karim Younis and Maher Younis, who were kidnapped 33 years ago. 7. 85 former detainees, who were released under the Shalit Prisoner Swap Agreement, and were kidnapped again, afterwards; most of them served at least 20 years before the Shalit deal. More on the issue: Prisoners Day Report on Palestinian Detainees, Their Sufferings and Their Plight. Hamas on Sunday slammed the Palestinian Authority apparatuses for stepping up arbitrary arrests against the group’s leaders and affiliates in the West Bank after two Hamas supporters were captured and another was summoned for interrogation. Hamas said in a statement the PA forces in Bethlehem arrested the 24-year-old ex-prisoner Rashed al-Yamani from his workplace. The PA preventive forces in al-Khalil further apprehended the ex-prisoner Ibrahim Salhab, enrolled at the Polytechnic University. The university student Suhaib Houshiya, coordinator for the Islamic Bloc in al-Quds Open University in Ramallah, was also summoned for interrogation by the PA devices. Meanwhile, the ex-prisoner Ramez Abu Salha has been held in the PA detention centers for 42 days running while Ayman Abu Eid has been held in custody for over a couple of months despite an earlier court issue approving his release. Earlier, Hamas slammed the PA Chairman, Mahmoud Abbas, for “hoodwinking” the Palestinian public opining as regards latest pledges to stop security coordination with the Israeli occupation. Hamas spokesman Fawzi Barhoum said in press statements Abbas has reneged on his threats and promises to cease security coordination with the Israeli occupation authority and form a special committee to that very end. He branded Abbas’s pledges “a big lie” made up to mislead the Palestinian people, atone for his ongoing failure to meet Palestinian demands, and cover up his dangerous role in liquidating the Palestinian cause and meddling with home affairs. Barhoum called on the Palestinian people to stand on their guard to such crooked practices exploited by Abbas to conceal the crimes he has been committing against Palestinians. He further urged Palestinians to rally round the Palestinian resistance in its struggle for national liberation against the Israeli occupation and to join forces so as to restore Palestinians’ legitimate rights. 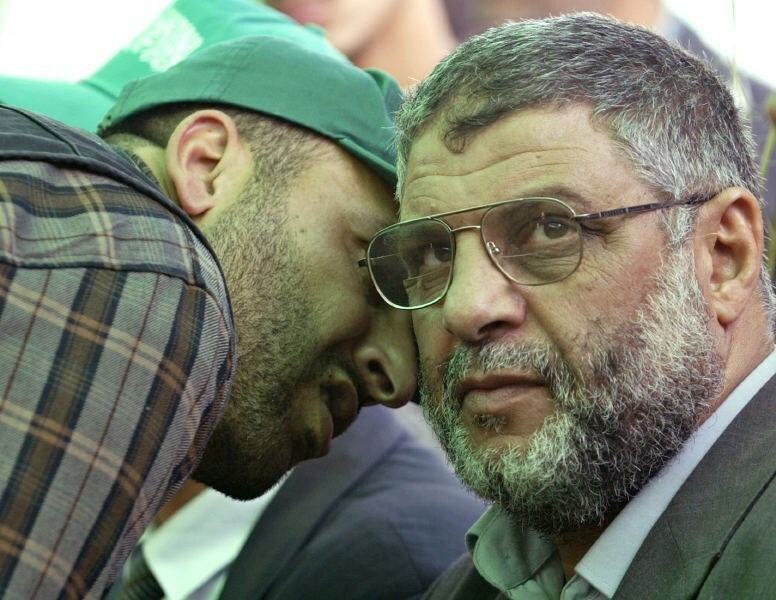 April 17, 2015, commemorates the 11th anniversary of the assassination of Abdel Aziz Al-Rantisi, an eminent leader and co-founder of Hamas Movement. Abdel Aziz Ali Abdel Hafith Al-Rantisi was born on October 23, 1947, in Yibna Village, between Ashkelon and Jaffa. After the occupation of most of Palestine at the hands of Zionist gangs in the 1948 war, when he was six months old, Al-Rantisi family fled to Khan Younis in the Gaza Strip. He had nine brothers and two sisters. Al-Rantisi enrolled in an UNRWA school and he had to work when he was six to help sustain his family. He graduated from high school in 1965 and studied medicine at Alexandria University in Egypt in 1972. He later gained a master degree in pediatric medicine. Al-Rantisi worked as a resident physician in Nassir Hospital in Khan Younis in 1976. Al-Rantisi was married and had six children, two boys and four girls. He had occupied different positions, including membership of the administrative body in the Islamic Society, the Arab Medical Association in the Gaza Strip, and the Palestinian Red Crescent. He worked at the Islamic University of Gaza (IUG) since it was first established in 1978 as a lecturer of genetics and parasitology. The Israeli authorities arrested Al-Rantisi in 1983 as he refused to pay the taxes to an occupying force. Al-Rantisi was the first Hamas leader to be arrested after the first intifada had broken out on December 8, 1987. Following a quarrel with the Israeli soldiers who tried to break into his bedroom, Al-Rantisi was arrested on January 15, 1988, for 21 days. He was arrested again after a month of his release and he remained in jail for two years and half. He was convicted of taking part in founding Hamas and writing the first leaflet for the first intifada. Al-Rantisi did not confess anything during the interrogations, so he was tried according to “Tamir Law”. He was released in November, 1990, but was arrested again after three months and was put in administrative detention for a year. In December, 1992, Al-Rantisi was deported to southern Lebanon, along with other 400 Hamas and Islamic Jihad operatives. He then emerged as the spokesman of the expellees who remained resistant to Israel’s brutality in Marj Al-Zohour to put pressure on Israel and the international community to return to Palestine and to display their refusal for the decision. Upon his return from Marj Al-Zohour, the Israeli authorities arrested him and the Israeli military court jailed him until 1997. As he was released, Al-Rantisi began leading Hamas that was severely affected by the Palestinian Authority’s grip in 1996. He, however, started defending the principles of Palestinians and encouraging a new phase of confronting the Israeli occupation. This, nonetheless, did not satisfy the PA that arrested him on April 10, 1998, after less than a year of his release from the Israeli jails. Some officials in the PA security apparatus told him that this act was taken under the Israeli pressure. He was set free after 15 months due to his mother’s death while he was in jail. The PA had arrested him three times later on, and he was released after going through a hunger strike and after the Israeli warplanes attacked the jail where he was kept. He was locked up in a cell, while all the officers had evacuated. He spent around 27 months in the PA jails, and the PA forces tried to arrest him twice afterwards but the attempts failed as the Palestinian people took on their shoulders the protection of his house. Al-Rantisi and Sheikh Ahmed Yassin were in the same cell in the Israeli jails. He wrote a number of poems showing his profound love for and belonging to Palestine. He also was a political writer for many newspapers. On June 10, 2003, Al-Rantisi survived an Israeli assassination attempt as an Israeli helicopter targeted his car. One of his bodyguards died in the attack along with a number of passersby, including a child. On March 24, 2004, two days after the assassination of Sheikh Yassin, Al-Rantisi was elected leader of Hamas in the Gaza Strip. On April 17, 2004, the Israeli Apaches murdered Dr. Al-Rantisi and two of his bodyguards, putting an end to a life full of resistance. Palestinian police officers, for the first time, have taken on duties in three designated West Bank areas just outside Jerusalem, sources said Thursday. 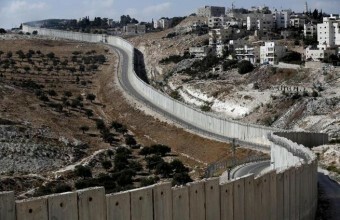 The officers were deployed to Abu Dis, Al-Ram, and Bidu, Palestinian police spokesperson Louay Erzikat told AFP Thursday. He went on to say that the deployment was carried out with "coordination with the Israeli authorities." According to officials, Palestinian police forces opened new stations in all three of the designated areas. A spokeswoman told AFP that the new Palestinian police presence will maintain order in “area B surrounding Jerusalem,” previously underserved by law enforcement. PNN further reports that Oslo II, the second round of the 1993 Oslo peace accords, divided the occupied West Bank into three designated areas of control, known as areas A, B, and C.
Area A includes major West Bank cities and is under both Palestinian civil and security control. Area B is under Palestinian civil control and Israeli security control. Area C takes up more than half of the West Bank and is under both Israeli civil and security control. The majority of Israeli settlements are located within Area C.
An explosive device blew up near the Palestinian cabinet's headquarters in western Gaza City late Friday, said witnesses. The explosion was heard near the old home of President Mahmoud Abbas, which was turned into the cabinet's headquarters. Abbas' home was handed over following the April 2014 reconciliation agreement between Hamas and the Palestinian Authority, intended to bring the parties together after nearly seven years of political division. Security forces headed to the place and opened an investigation into the details of the incident. The Al-Qassam Brigades, the armed wing of the Hamas movement, has reported that one of its fighters was killed, Saturday, during training in Gaza. 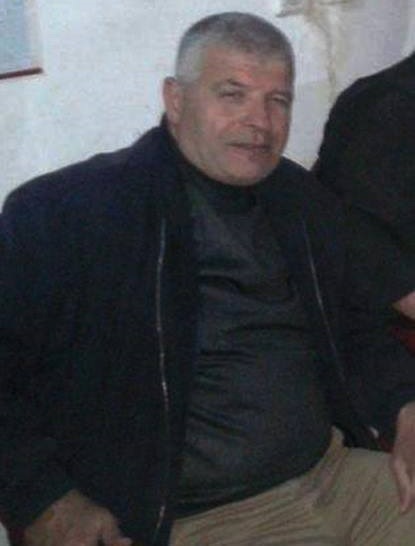 The Brigades said Nafeth Sa’id al-Moghani, 55 years of age, is from Yebna refugee camp, in Rafah in the southern part of the Gaza Strip. It added that the fighter was accidentally shot and killed, while another fighter, 59 years of age, was injured. There have been scores of incidents were fighters have been killed during training, in addition to dozens of fighters, and residents, who died or were seriously wounded, in tunnel incidents across the border between the Gaza Strip and Egypt. Many fighters were also killed, or injured, after the Israeli army bombarded the tunnels while they were in them; among the casualties were also tunnel workers who were not members of any armed group in Gaza. 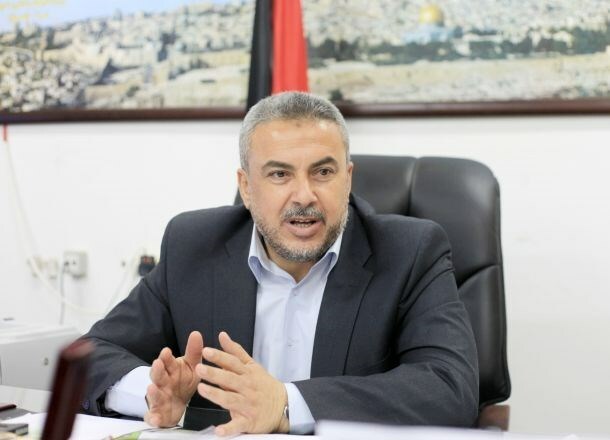 Hamas deputy chief Ismail Haneyya on Thursday said he received “positive pledges” from Prime Minister Rami al-Hamdallah over the issue of unpaid civil servants in the Gaza Strip. A statement issued by Haneyya’s office said the latter met with the Minister of Public Works and Housing, Mufeed al-Hassayna, who updated him on al-Hamdallah’s commitment to solving the salary crisis in Gaza. 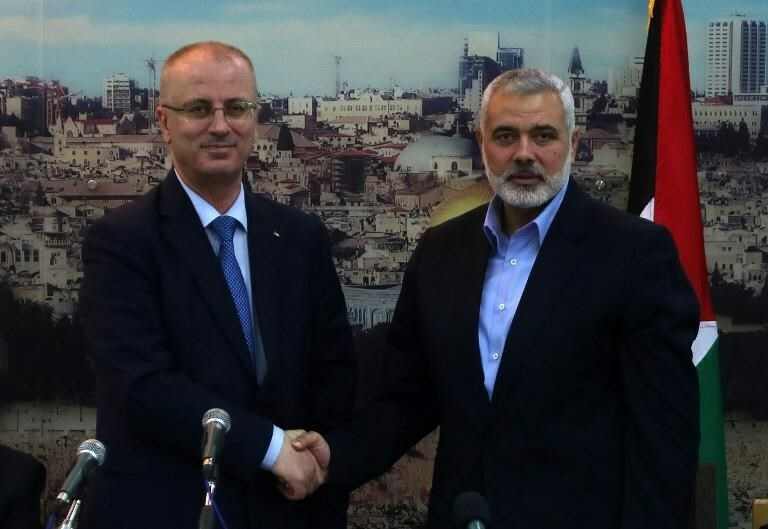 “The message of al-Hamdallah has included positive pledges to solve the crisis of Gaza civil servants,” the statement added, without providing further details. Earlier on Wednesday, al-Hamdallah said he would announce an initiative satisfying everyone and leading to fair solutions for all civil servants. 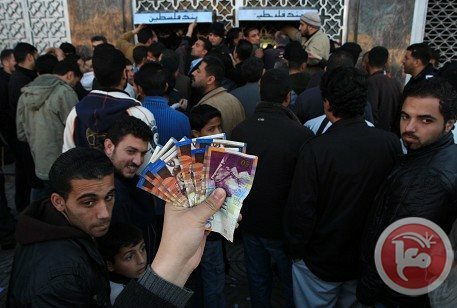 Apart from the 1,200-USD payment they had received in October 2014, Gaza civil servants have not been paid since the unity government took over in June. The Islamic Resistance Movement, Hamas, slammed the silence maintained by the Palestinian Authority (PA) as regards the mass-arbitrary abduction campaign launched by the Israeli occupation forces (IOF) against dozens of the group’s affiliates in the West Bank. “It seems the PA apparatuses in the West Bank have existed to protect the Israeli security rather than the Palestinian citizen,” he added. He held the Israeli occupation responsible for the safety of the captured Hamas affiliates, calling on the human rights institutions and the UN to immediately step in and work on restoring their freedom. He urged the PA Chairman Mahmoud Abbas to sue the Israeli leaders for the crimes they committed against the Palestinian people and prisoners. The IOF at dawn Wednesday launched an arbitrary mass-abduction campaign targeting scores of Hamas supporters and leaders in the West Bank. According to a study conducted by the PIC, the fact that the campaign targeted some 29 Hamas activists and leaders in Nablus province, alone, bodes ill and heralds a message of retaliation dispatched by the Israeli stakeholders. The campaign is also said to make part of Israeli intents to suppress the voices and stir up fear in the minds and souls of Nablus anti-Israel activists. Historiographers, dubbed such schemes futile due to Palestinians’ commitment to armed resistance and their belief in the legitimacy of the Hamas-delineated road map in Palestine’s fight for freedom. Hamas’s survival is not rooted in individuals per se as much as it stems from a whole methodology and rationale that is difficult, if not impossible, to shake, as previous experiences have proven, the study went on. The campaign might also be read as a catch-up tactic deriving from intents to atone for the great losses and the heavy blow dealt to the Israeli army in last summer’s offensive on the blockaded Gaza Strip. 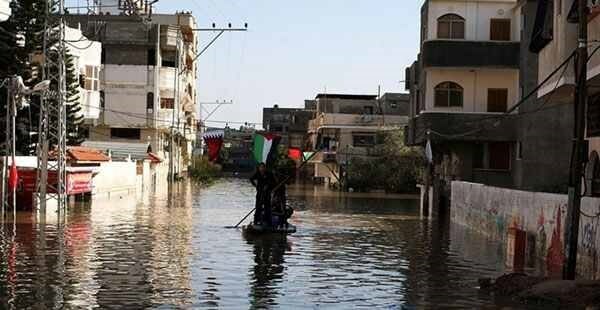 A number of Palestinian houses have flooded in heavy rains in al-Khalil’s Old City to the south of the West Bank. Eyewitnesses told the PIC reporter that a number of houses and stores in the area were flooded after rainwater level had dramatically increased due to the poor sewage treatment and Israeli severe restrictions on West Bank wastewater infrastructure. Local residents launched a cry for help as they are in risk of losing their homes and properties in the area. 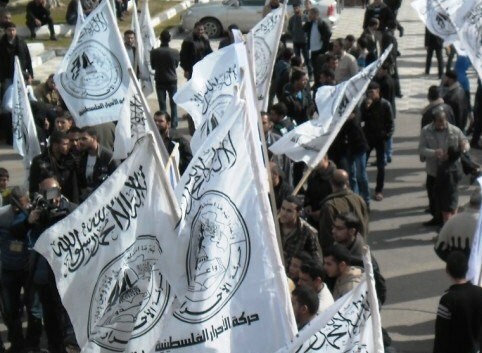 Al-Arar Movement in Palestine strongly denounced the Palestinian unity government for persisting in disavowing its responsibility towards its unpaid civil servants in the Gaza Strip and not dealing seriously with the issue of their salaries. The Movement held the unity government fully responsible for the consequences of its passivity towards this issue and its violation of the national consensus and the agreements it had signed in regard. 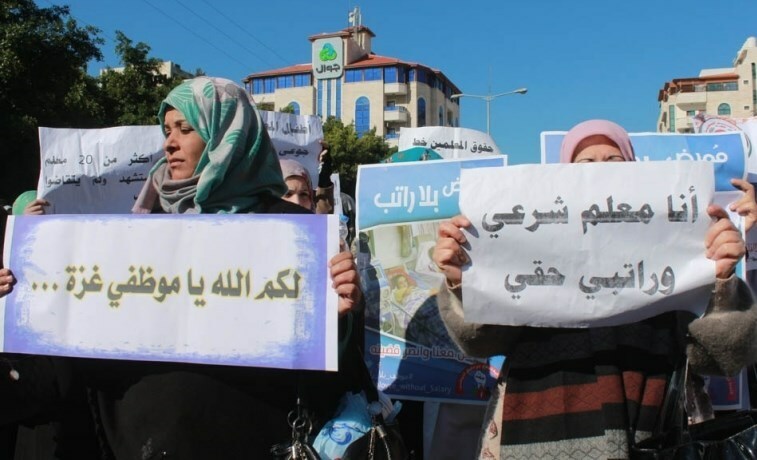 The Movement emphasized that the government's persistence in discriminating between the civil servants in Gaza on the basis of their political affiliation is a major obstacle to the national reconciliation. 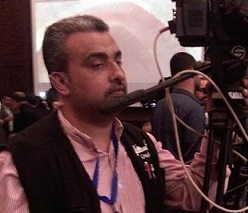 A Palestinian reporter, working for the Palestinian TV, was stabbed to death on Tuesday at dawn, near his home in the Nasr neighborhood in Gaza city. The reporter, Kamal Mohammad Abu Nahl, 40 years of age, was stabbed, with a sharp object, three times to the neck, throat and his lower back. His brother, Omar Abu Nahl, told the Palestinian Center for Development & Media (MADA) that he received a phone call at dawn informing him that worshipers found his brother’s body near his home, following dawn prayers. He added that his brother, who was visiting, left around 12:30 after midnight, and headed towards his own home, and that he was wearing a suit, but when his body was found he was wearing other clothes. Omar said his brother’s wife was sleeping, but it appears he went home, changed his clothes, and headed out. The slain reporter is a married father of three children. The MADA center strongly condemned to the journalist’s murder, and demanded the authorities in Gaza to investigate the crime, and apprehend the assailants. 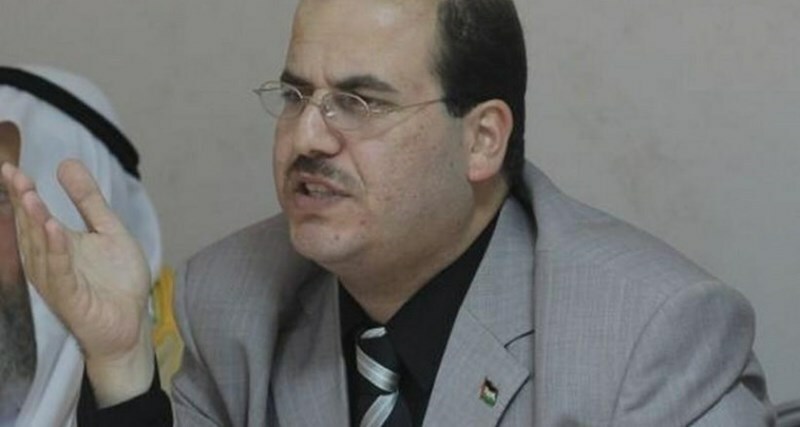 Senior member of the Palestine Liberation Organization (PLO) Yaser al-Wadiya has ruled out that the Hamas Movement has intentions to declare an independent entity in the Gaza Strip as some people claimed in the media. 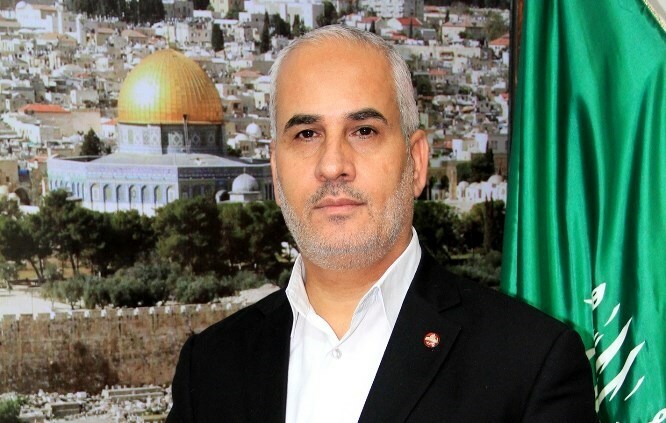 In a press release, Wadiya stated that the Hamas leadership had categorically denied accusations leveled against it of its intention to establish an independent Palestinian state in Gaza. "There is no difference between Gaza, the West Bank and the eternal capital Jerusalem. Palestine is a unified part with no difference between its areas," he underscored. The PLO official stressed that the best response to such accusation is to initiate practical steps to execute the reconciliation agreement and refrain from making statements that would strain the inter-Palestinian relations. The workers’ union on Monday announced a general strike, in effect on Wednesday, in the four government ministries of public works, Labor, Justice and Women’s affairs. The committee called on all civil servants to join a mass sit-in in front of the council of ministers at 11 a.m. on Tuesday in protest at the government’s reluctance as regards the workers’ demands and rights. The committee reiterated its firm disapproval of the protocol and unfruitful visits paid by the prime minister to the blockaded Gaza Strip, none of which has managed to work out the crisis of Gaza’s civil and military servants. The Union urged all Palestinian factions to adopt firm positions as regards the affair and take a tougher line against the government’s dragging of its feet vis-à-vis latest agreements. The statement further warned of a looming crisis to rock Gaza in case practical solutions are not reached by the holy month of Ramadan.